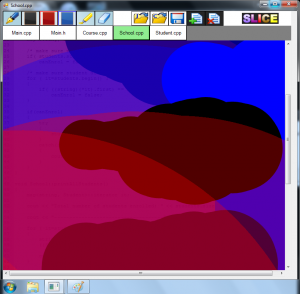 The software I used for the tablet reviews (Slice) is capable of saving the result in an xml file, including every single stroke on every file. I wrote about this previously. I saw this for the first time after I was done with all the experiments and started tallying the results. It frightned me a little – potentially half of my experiments would have to be scrapped if I couldn’t access this data. Luckily I used another program – BBFlashBack to make flash recordings of the entire screen for each review session. Playing it back at 4x speed allowed me to record comments as accurately as if they were on paper, and also I remembered things that I would have forgotten if I didn’t have the recording. I was so happy that I had these recordings – I even wanted to buy the full version, but at 90$ it’s a bit too expensive for me.